You cannot boot directly into the desktop, since Microsoft wants the Start screen to be users’ initial experience with Windows 8. For most people, this restriction may not be an issue, but certain vertical applications (specialized programs, such as for point-of-sale PCs) need to boot directly into a desktop environment. Until Windows 8 app versions of such programs become available, users requiring vertical applications should stick with earlier versions of Windows. If all you need to do is launch an application, you can simply click its tile in the Start screen. If you need robust file management and navigation features, you have to access the desktop. After you boot the machine into Windows, pressing the <Windows> key sends you to the desktop. Unfortunately, the <Windows> key isn’t consistent in this behavior: If you’re in an app, pressing the <Windows> key always returns you to the Start screen. Press it again, and you’re in the most recent Windows 8 app. Instead, to move to the desktop consistently, you need to be in the habit of pressing <Windows>-D. Another option is to move the pointer to the lower left of the screen and click there (though this method works only if you have used no other app recently). 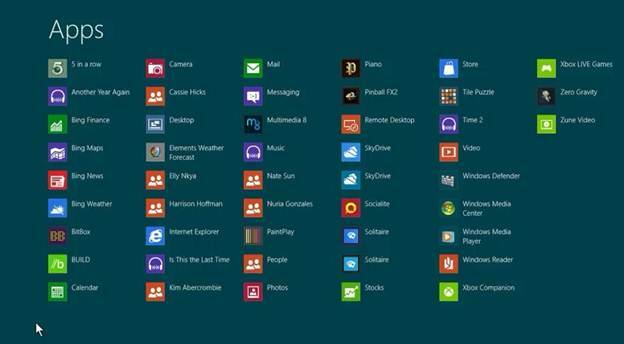 Except for the omission of a Start menu, the desktop mostly behaves the same in Windows 8 as it did in windows 7. So how do you reach commonly used features such as the Control Panel, the file explorer, and the Run command? Move your pointer to the lower-left corner and right-click, ignoring the Start-screen peek that pops up. This is the simplified Start menu; you can also bring it up by pressing <Windows>-X. Or, you might prefer to use the search function to look for “Control Panel” or “Run”. Connecting to networks is easier than ever, once you have installed the right drivers. Windows 8 enumerates and displays all of your networked devices – including DLNA devices, network folders you’ve set up, and other computers residing on the network – in any file manager window. Ultimately, navigating the new desktop is similar to getting around the old version, but the absence of a full Start menu may throw you off at first. Using hotkeys, and customizing the desktop and Start screen, might help you become more comfortable in the short run. Once you get used to navigating the system, it’s as transparent as the old one – just different. Late to the game, Microsoft is adding a store to Windows, much like the marketplace for Mac OS X, iOS, and Android. (For additional information about some of the store’s offerings, see our look at individual apps on page 88.) If you want to buy apps from the Microsoft Store, you need to create a Microsoft account. Perhaps I should say stores, since you’ll find more than one store within Windows 8. You buy Windows 8 apps by clicking the Store tile – but you purchase music by launching the Music app, and you buy videos by launching the Video app. Navigating the Microsoft Store is similar to navigating the Start screen. 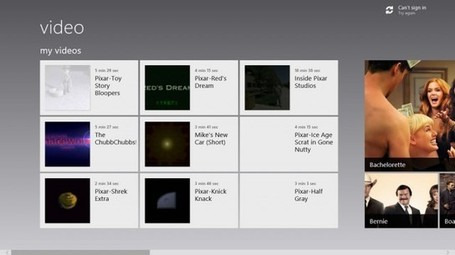 Features apps come in individual tiles, and are sorted by groups; each group also has a ‘Top Free’ tile and a ‘New releases’ tile. When we installed the RTM version of Windows 8, however, the Store listed just 305 apps, so Microsoft has a little catching up to do. The number of apps available at the official launch on October 26 will be more telling.